With the sequel to Despicable Me having been recently released, I was reminded how awesome the Minions in the movie are. I wish I could get a real life set of them to help me around the house and with work. Closest thing I could come up with was this crochet beanie in the signature character style. I’m working on a couple other looks for the characters but this is the one I have done so far. I really like it! Debating whether or not to add these little guys to the Etsy shop…. Definitely add them! This is the best minion hat I’ve seen so far, it’s awesome! I would buy the pattern from you! Any way that will be added to your shop? I hope so! Thank you for those kind words! I will start drafting one up right away! Great! 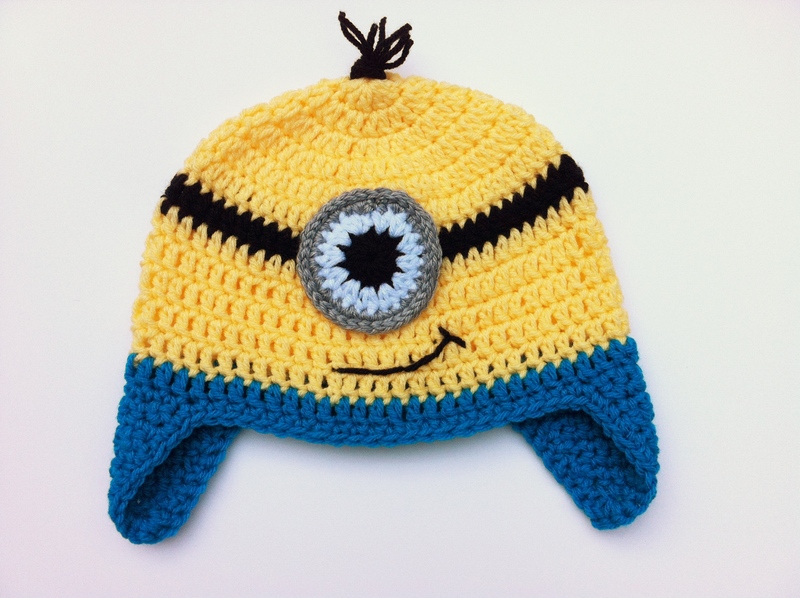 I have three little ones and the eldest two boys would be so ecstatic for minion hats! I have plans of doing all three so I have my own little hoard of minions hehe! That sounds wonderful! Drafting up patterns this week as requested by you all! 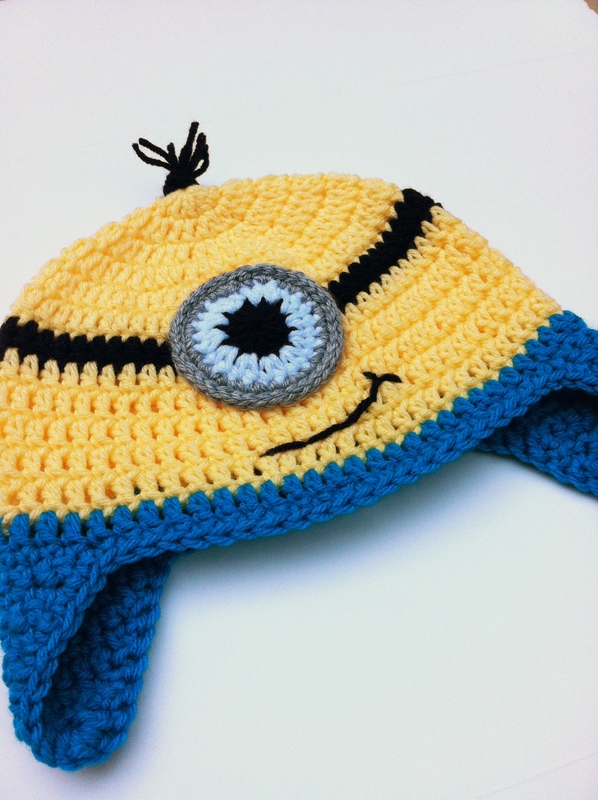 The minion pattern/tutorial is complete and on the blog! I would love to have a patter for this could you let me know as soon as you have one done? Thank you so much. These are so stinking cute! Will you share (or sell) your pattern? Making a blanket for a friends new baby but think big brother probably needs something too. I am currently working on a tutorial blog post to share with everyone !